A man was taken to an area hospital after he was stabbed multiple times during a fight over a parking spot. 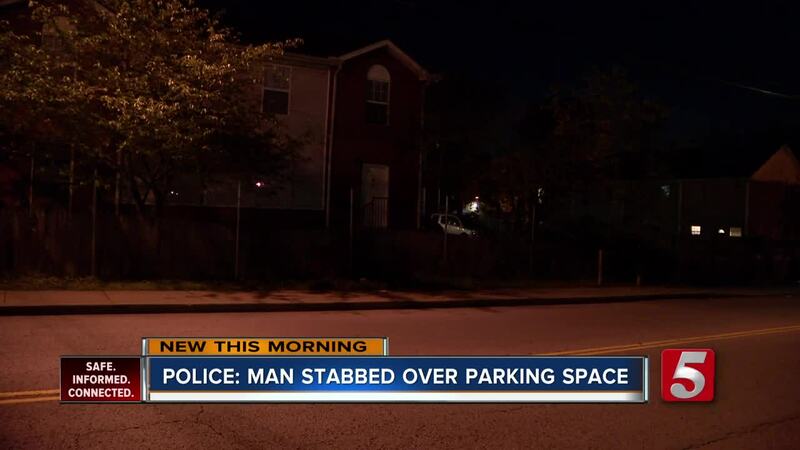 NASHVILLE, Tenn. (WTVF) — A man was taken to an area hospital after he was stabbed multiple times during a fight over a parking spot. The incident happened late Sunday night at an apartment complex on Buchanan Street, just off Dr. D.B. Todd Boulevard in North Nashville. Metro Nashville police said the two got into an argument over a parking space and began pushing and shoving one another. At one point, one pulled a knife and stabbed the other several times in the back. The attacker then took off.